Mission Motorcycles x Wilzig Racing Manor from Mission Motorcycles on Vimeo. Chip Yates is a bit of a rock star in the world of electric vehicles. He started out as an engineer for McLaren Automotive before becoming a professional motorcycle racer at the World Superbike level at the age of 36. A broken pelvis sustained in a crash brought an end to his racing career and into the field of electric vehicles. Chip gathered some of his friends and spent his savings building a motorcycle for a new electric racing series forming in California. His new bike proved so fast that it was banned from the series before it even started. Undaunted, Yates entered the bike in a race against traditional gas combustion powered motorcycles where he nabbed two podium finishes. 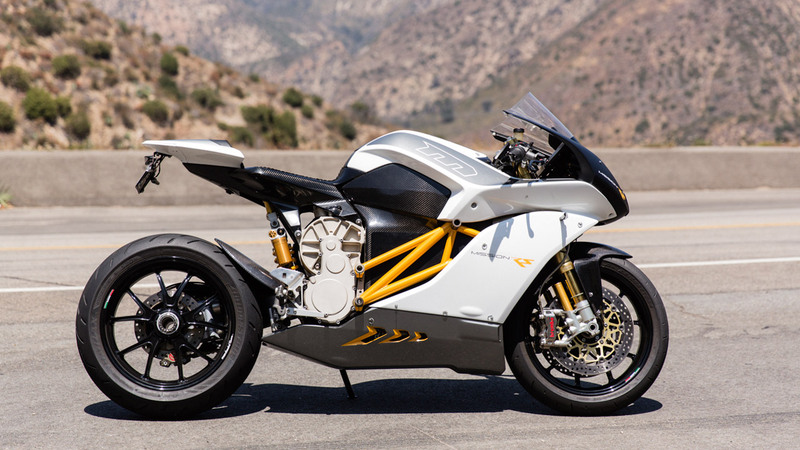 Chip continued to push the boundaries of electric motorcycle performance with a land speed record at Bonneville and a record for the Pikes Peak International Hill Climb. Check out this interview that Chip did with Motor Trend where he tells the stories of his start and success in the electric vehicle world. There’s even footage from the electric airplane he built by putting the UQM motor from his electric motorcycle in an old Burt Rutan VariEze home-built kit plane. He burned up his battery pack setting the world speed record for electric airplanes before having to make an emergency landing. Campagna Motors of Quebec stops by Jay Leno’s garage to showcase the latest iteration of their reverse-trike T-Rex. New for 2013 is the 1.6 liter inline-6 BMW engine from their sport touring motorcycles. 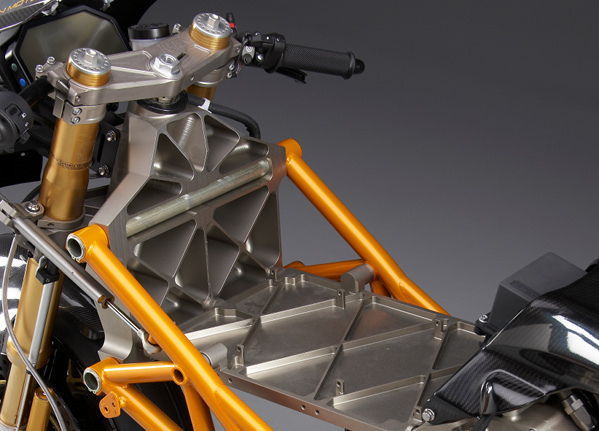 Campagna is able to work with BMW to buy crate engines instead of disassembling whole motorcycles like they did with their Kawasaki engines in previous years. The larger inline-6 produces more torque and power which makes it better suited for the T-Rex which weighs about twice as much as a motorcycle. It’s kind of funny, the exhaust tone still sounds similar to the inline-6 in BMW cars. The I6 is a very fascinating engine layout because it is naturally very balanced which lends itself to smooth revving and the ability to hold a lot of boost from forced induction. Unfortunately, many car makers have switched from inline-6’s to V6’s for packaging reasons. Inline-6’s are too long to be turned sideways to power front wheel drive cars. BMW still loves to use them because they only make rear wheel drive cars. Since BMW wisely overlaps many of their car and motorcycle development resources, it was only natural that they created this 1.6 liter inline-6 for their bread and butter sport touring motorcycles. It just so happens that it’s also an ideal engine for the many motorcycle/car hybrids coming to market like the T-Rex and the Monotracer. These types of vehicles are starting to get a lot more popular for their combination of motorcycle performance and gas mileage with car safety and practicality. 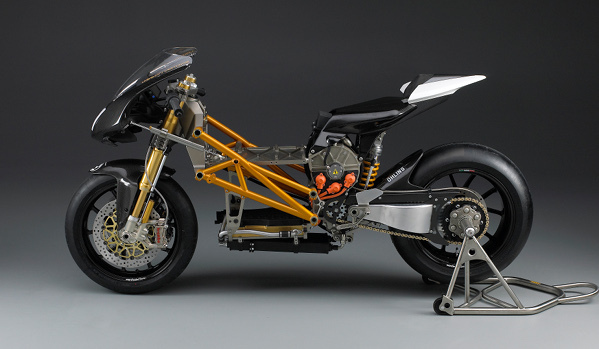 The podium for the 2013 Isle of Man TT Zero electric motorcycle time trial looks a lot like the 2012 podium. MotoCzysz took the top place with their E1PC and Mugen/Honda came in second with their revised Shinden Ni (the Japanese god of lightning). The Isle of Man TT YouTube channel released some on-board footage from both bikes that should dispel a lot of notions about electric vehicles being slow and not sounding very cool.